Imaginative play is such an awesome thing to encourage in children and to be honest they do it so well without any help, however there are some pretty cool toys out there that can aid their imagination and get their creative juices flowing. So when oskar&ellen got in touch to see if I'd like to review one of their products I couldn't resist. A little bit about oskar&ellen first: "We believe every parent is picky about what his or her child plays with. Who wouldn’t be? We all want products that are useful, adorable, safe and creative. oskar&ellen AB is a family-run company based in Stockholm with the aim to provide an innovative and fun range of soft fabric toys to encourage a child’s imagination through role-play. We are known for our high quality products, individually made with unrivaled attention to detail." Harlow was lucky enough to receive the oskar&ellen Castle to review. It's a beautiful soft toy medieval castle which is sort of shaped like a handbag, well it does have two handles so could always double as a handbag for little ones. The castle has a cute drawbridge at the front which fastens with velcro so can be opened and closed with ease. There are two towers on this castle which can come in either pink or green and they can be removed if desired. Again velcro helps secure these towers to the castle. It's worth noting that the castle comes with it's very own net bag which makes it great for tidying away and taking out and about with you. No more lost parts! The set also includes a prince, a princess, a white horse, a dragon, a witch, and a treasure chest. The whole product is handmade, as are all oskar&ellen toys, which means they are hand sewn using sewing machines by three manufacturers/sewing studios in Manila, Philippines. These sewing studios were chosen more than 14 years ago by the founder of oskar&ellen, Petra Jinglov. Today they still work with the same studios. 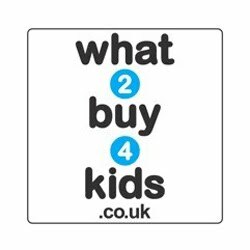 I find this fascinating and very charming to know that this brand has built good relations with its toy manufacturers. Brands like this with a lovely back story always appeal to me. Although Harlow is still a baby I feel exposing her to role playing toys at a young age will hopefully be quite beneficial. She really did take a keen interest in this castle toy with the treasure chest being her favourite. I helped her play and tell stories with the little people which she thought was quite funny. Her big brother, Logan, was also on hand to help her and show her how to play with the witch being the bad guy and the princess needing to be saved by the prince on his beautiful white horse. It was very cute to watch, even our French Bulldog was trying to get in on the action at one point! I'm hoping this will become one of Harlow's favourite toys as she grows older. I never realised what a big range and variety of toys oskar&ellen actually have on their website. There's tons of lovely play sets along with storage bags, song bags, bunting, quilts, yearly calendar, height charts, medals, world map, the list goes on. I definitely urge you to have a look on their website, the products are super cute so be prepared. This castle set that Harlow received retails for £26.99 and can be purchased online from a number of online retailers including Born Gifted. Or if you're close enough you can purchase from Liberty in London. Overall this is a lovely product to help grow your child's imagination and role playing skills. It's well made and would make an excellent gift. I'd be more than happy to receive these sets as presents for Harlow, they're beautiful. Pricing is fair compared to other brands of the same level and these toys are a great little talking piece too. Please visit www.oskarellen.com for more products and information. You can also see what they get up to on Facebook so why not pop over and say hello! I was sent this product in return for an honest review. All opinions are my own. 3 comments on "Review: Oskar & Ellen Castle Toy"